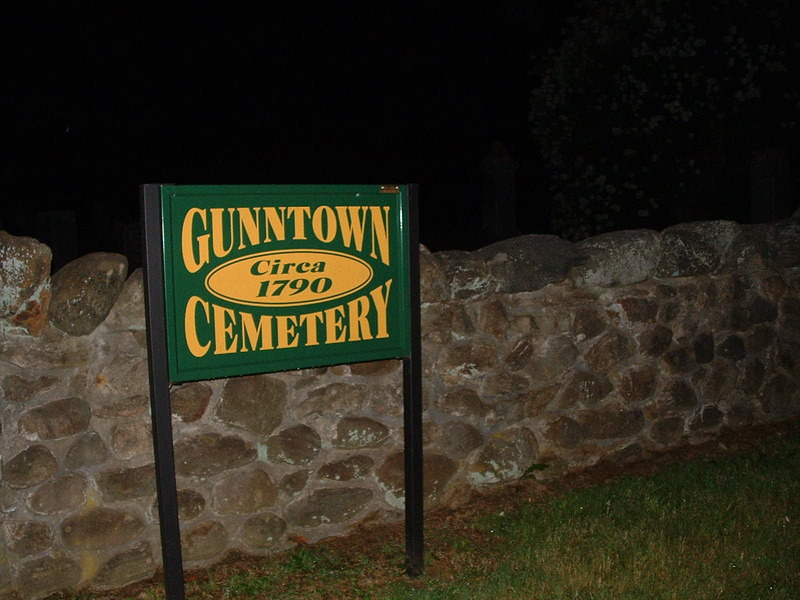 Gunntown is a small place, not bigger than maybe a hundred feet by a hundred feet. It is surrounded by a larger size stone wall and only has one small entrance in the front center of an iron gate. 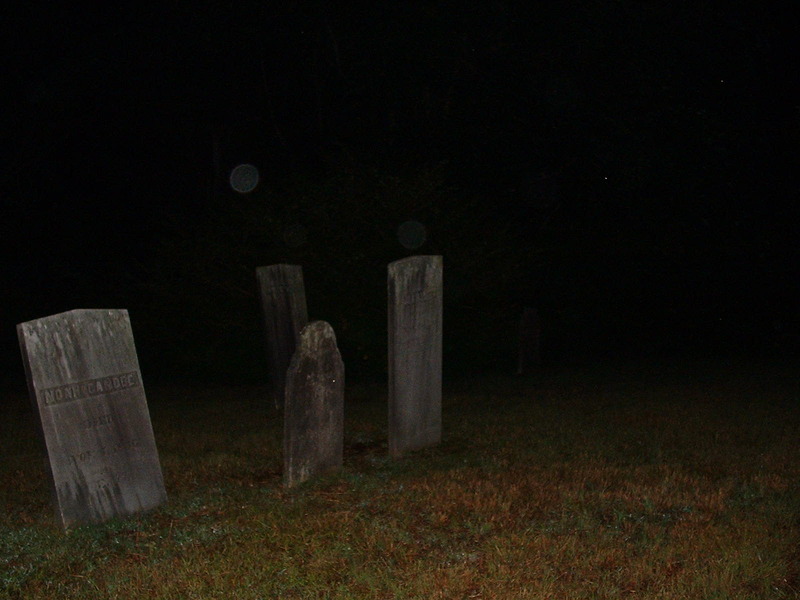 A fairly old cemetery, dating back just into the late 1700’s. This place is known for 2 things. Weird and weirder! On most times visiting this place, kind of grows on you. It makes you feel like somehow you have been here before and its not really a cemetery. You feel good and comfortable and in some strange way, you might be content being there at 2am in an entirely dark place. The chill will come from the old time music you can always hear playing as if a coffin was buried with a record player. 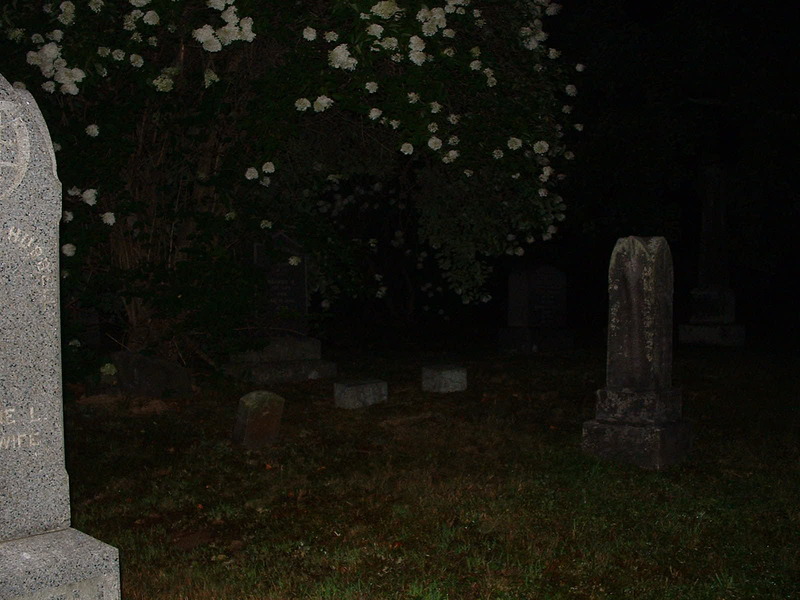 The music is quite pronounced and it can be heard almost always on the right side of the cemetery. You will never find where it is coming from, but I can assure you, there is no house or neighbor playing music from the 1800’s. You can hear a banjo or fiddle or some other kind of old time instruments being faintly played. Quite eerie. The second is that for some reason, when it’s time to depart, it might not want you to leave… You heard me. I have been trapped in this cemetery 2 times already, and by trapped, we mean the iron gate is shut and will not open, even though moments earlier, it opens freely. There is no lock and the gate is old, yes, but it sure opens fine and barely even squeaks. Several times upon trying to leave, the gate felt pulled closed from the inside and would not open. We found ourselves climbing and jumping over the stone wall to get out. Strange? Right after we climbed over the walls, the music stopped and we tested the gate and it opened up just fine. I can relive a few times I have been here. Each one has been more difficult based on the location of this place. First, it is superbly hard to get to, unless you want to walk a great distance. You simply cannot park close enough without being nabbed quickly, since the long windy road has no real turn off’s. If you head past the cemetery, about a half mile on the left side, there is a small spot for a couple cars, but again, most police know if your car is here, there know where you are… So be warned. Once you either climb the wall or the fence (if its open) you’ll see how small the place really is, which is also why it can be hard to hide. Honestly, the best place to duck down is right against the main wall. This would ensure even flashlights cannot see you, which happens often. This could be because there is a Dunkin Donuts right down the street, so the cars that do go down this area are typically police. Just some notes for you if you are venturing out, but please take care! NEXT POST Next post: Colorado Street Bridge, CA – Haunted Bridge? Very interesting article. I hope you had written permission to be at the cemetery so you don’t get in trouble for trespassing in any future endeavors. I’m part of the beacon falls paranormal society and we have been investigating gunntown for over a year now. I’m surprised with your findings there as we have never heard music from the 1800’s nor have we been kept from leaving. We have had many experiences there over the past year however they vary from yours. Interesting article though. I guess all experiences are vastly different. Being an investigator for over 15 years myself, we have also been many places with no findings in spots and others assure it to be completely haunted. Good hunting! We just went 2nite and have a recording of a strange sound. It sounds like a moan.